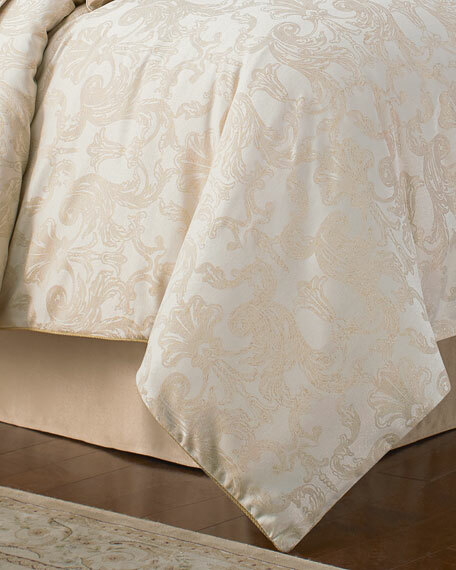 Set includes 92" x 96" comforter, two 20" x 26" standard shams, and gold dust skirt with 18" drop. 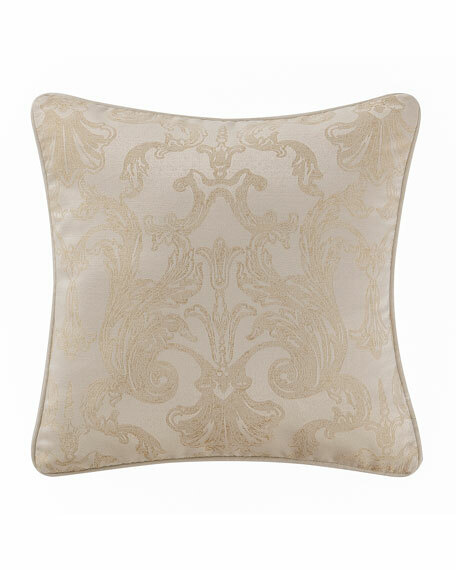 Comforter has a gold foulard pattern on reverse. Set includes 110" x 96" comforter, two 20" x 36" king shams, and gold dust skirt with 18" drop. 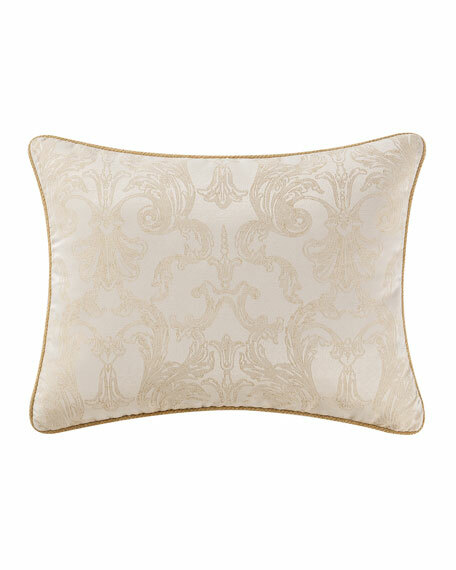 Waterford Britt Scroll-Pattern Pillow, 18"Sq. 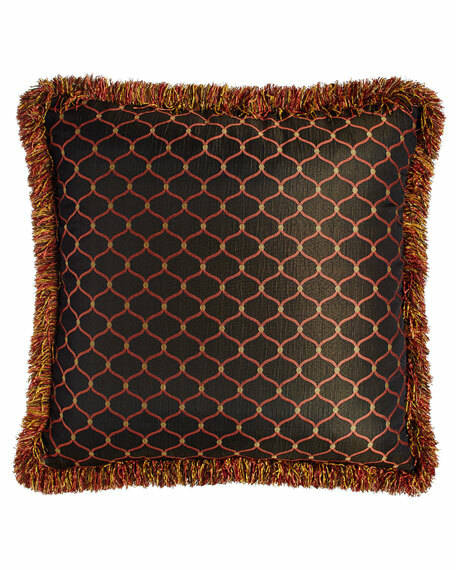 Scroll-pattern pillow with ogee jacquard reverse. Hidden zipper closure; removable insert. Britt Pieced Pillow, 11" x 22"
Ogee jacquard on one side; floral jacquard on the other.Finished with chenille loop fringe and zip closure.26"Sq.Dry clean.Made in the USA of imported rayon/polyester. 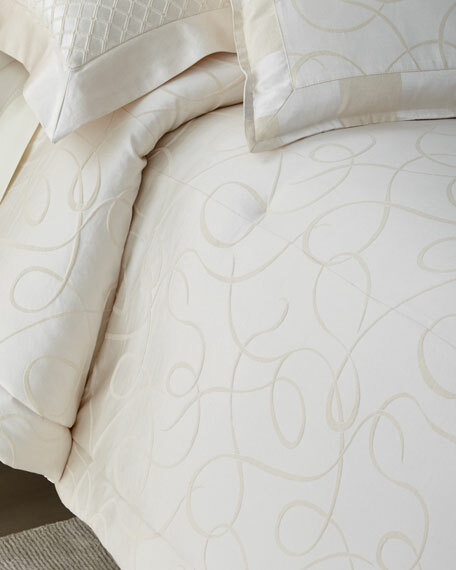 EXCLUSIVELY OURS.Three-piece set includes one comforter with two shams. Hand-quilted comforter with 3" flanged edge. 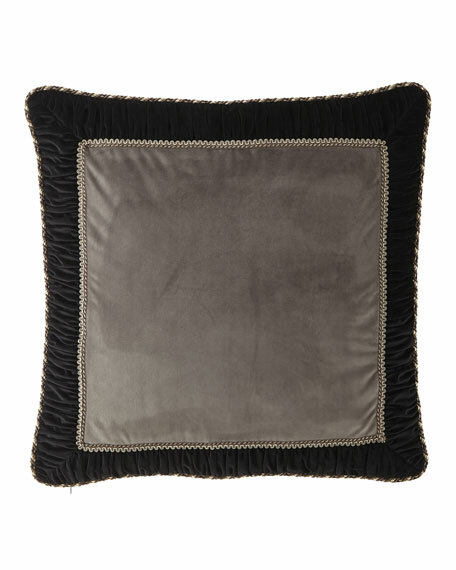 Mitered flange and two-piece solid back on shams. Cotton backing. Cotton/polyester.Dry clean.Comforter: 92" x 96". Made in the USA of imported materials. Comforter set made of polyester, rayon, and cotton.Set includes a corded comforter, two braided and corded shams, and a shirred and banded dust skirt. Dry clean. Handmade in the USA of imported materials. EXCLUSIVELY OURS.Sham with shirred velvet frame. Velvet backing with zip closure. Cord edge. 26"Sq. Polyester.Dry clean.Made in the USA of imported materials.